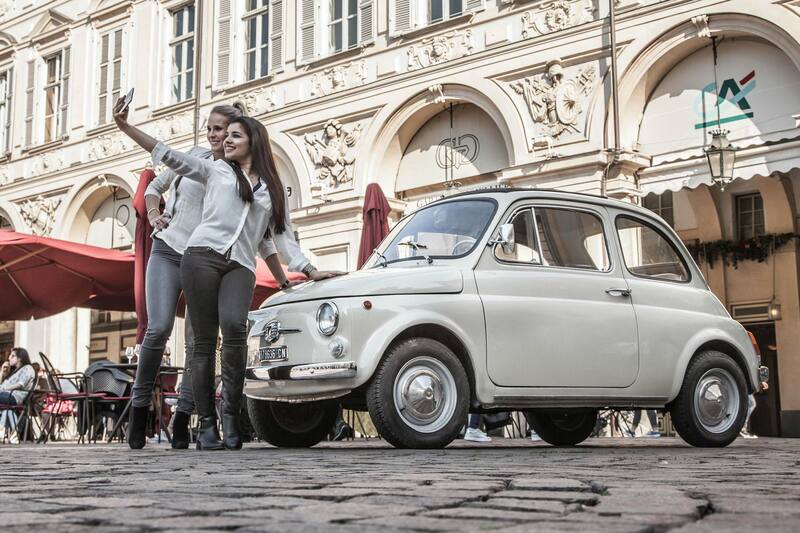 More than just a car, the tiny first generation Fiat 500 (1957-1975) was an important cultural icon. Like the Model T, the Volkswagen Beetle, the Mini, or the Citroen 2CV, the “Cinquecento” not only put its home country on wheels, it became the nation’s ambassador to the world. The 500 was designed by Dante Giacosa to be an affordable car for post-war Europe. Resources were scarce, so the tiny car was sculpted to use a minimum of expensive steel in manufacture. The signature folding fabric roof was not a stylish option, but another measure to save on metal. The Modernist design focused on utility, and emphasized its simple shape as functional, unornamented beauty. By placing the 497-cc engine and drivetrain at the rear, interior volume was maximized for passengers, while the overall volume remained small enough for maneuverability through narrow Italian streets. Over four million examples of the first-generation Fiat 500 (Sport, D, F, L, R) rolled off the lines between 1957 and 1975. Over six million of the new 500 have been manufactured since the model’s relaunch in 2007, making it easily one of the top-selling nameplates of all time. MoMA chose the ubiquitous Series F 500 for its Good Design exhibition, manufactured from 1965 to 1972. The display seeks to answer the question, “What is good design and how can it enhance everyday life?” by exploring the democratizing potential of everyday objects, such as furniture, electronics, transport, and graphics. The museum began championing well-designed, affordable products through a series of Good Design initiatives from the late 1930s through the 1950s. The concept took hold outside of the museum following World War II, when governments embraced the principles as tools of reconstruction, especially noticeable in Europe. The mass-market Fiat 500 is the locus classicus in democratizing industrial design. Its success was a product of its form which was a product of its function. 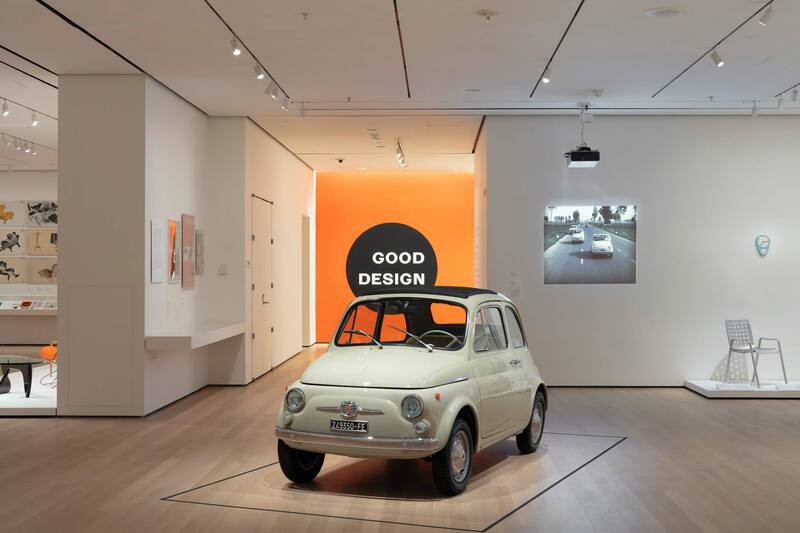 While we would surely prefer to race one through the streets of Milan or Siena, bread sticking out through the sunroof and bottles of Vin Santo overflowing the tiny front trunk, the experience of studying a 500 in a museum will hopefully remind the 21st Century of the beauty and importance of straightforward, functional design.